The United States Patent and Trademark Office (USPTO) filed a motion in June 2012 to intervene in a case which argues that the reproduction of scientific journal articles as prior art in US patent applications infringes copyright under Copyright Act 17 U.S.C. §501. Will the US courts finally be able to reconsider and clarify the scope of “fair use” post-American Geophysical Union v Texaco Inc. 60 F.3d 913 (2d Cir.1994)? Maybe. In February 2012, publishers John Wiley & Sons, Ltd and the American Institute of Physics filed claims against two US law firms: Schwegman, Lundberg & Woessner, P.A. ; and McDonnell Boehnen Hulbert & Berghoff LLP. The firms submitted copies of articles published by Wiley and AIP as prior art in patent applications. Wiley and AIP contend that the copies filed with the applications are unauthorised and that even copies made for research but not ultimately used in filings (distributed internally or to clients/opposition) also infringe as the copying is not covered by any licence. Wiley and AIP argue that the firms, by not paying licence fees specifically for these uses, are making a profit; they are using the ‘free’ copies as part of a service for which they receive compensation from the client. US patent applications, however, require the disclosure of certain information (37 C.F.R. §1.56), including prior art which helps establish whether an invention already exists. 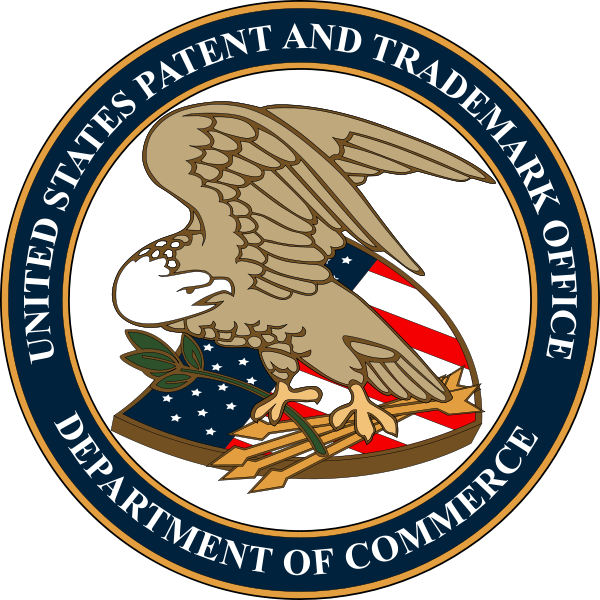 It is not surprising that the USPTO has taken a particular interest in these cases stating “the United States and the entire patent system instituted by Congress are at risk of serious harm if the USPTO is denied intervention”. It argues that a finding in favour of the Plaintiffs would have a “significant adverse effect not just on patent prosecution, but also patent infringement litigation”. (4) how the use effects the potential market for or value of the work. 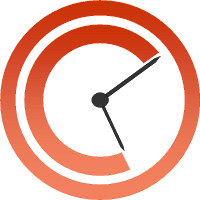 The framework is cumulative as the weight of one factor can tip the balance in favour of fair use even if the argument under another limb is weak. These four limbs were considered by the U.S. Court of Appeals for the Second Circuit in American Geophysical Union v Texaco, 37 F.3d 882 (2nd Cir. 1994); a case which caused some consternation as it settled out of court before the fair use principles could be addressed and clarified by the Supreme Court. The appellate court held that Texaco could not rely on fair use to exculpate its scientists who had photocopied articles from scientific journals without paying royalties. This was regardless of Texaco having subscribed to the journals. In relation to the first limb, the court ruled that consideration of Texaco’s profit motive was relevant but failed to examine the difference between direct and indirect commercial use and instead drew an ambiguous distinction between institutional and independent research. They also held that the market was affected under limb four, relying on Texaco’s ability to make royalty payments via the Copyright Clearance Center (CCC). The Supreme Court has not been given the opportunity to reassess the framework since. (4)	as NPL is typically published several years prior to use in patent applications, its commercial value is limited. NPL is only used in the patent examination process, which the USPTO does not allow to become freely available on the internet (its is not published under Public PAIR) and means there is no market that is impaired by the use of the NPL. 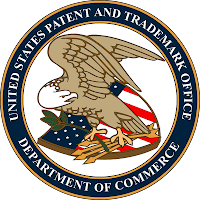 The Intellectual Property Owners Association (“IPO”) has also taken an interest in the debate and on 11 June 2012 passed a resolution agreeing with the USPTO’s position: copies of NPL used “in the course of preparing and prosecuting patent applications and maintaining comprehensive files relating to prosecution is fair use under 17 U.S.C. §107”. Its position appears to be broader than the USPTO’s which carefully stated that it did not take a position on Wiley and AIP’s other submission regarding the use of copyright material more generally in the course of the litigation process. How will the court addresses this wider contention, especially while concurrently implementing the fair use framework for NPL? One outcome could mean that law firms will have to keep a more watchful eye on their general use of copyright material, ensuring that they are aware of the extent of their existing intellectual property licences and subscriptions. As skillful as the USPTO’s application of the principles might be, the four-limb framework offers little scope for certainty when trying to assess whether fair use applies. The second and third limbs are not overly complex in basis and as the USPTO’s memorandum shows, can be widely construed in support of the other limbs, which reiterates the importance of case-by-case analysis in this area. It also highlights a difference between “fair use” in the US, which is applicable to any work, and its cousin “fair dealing” in the UK which is subject to three limitations: fair dealing for the purposes of non-commercial research or private study; fair dealing for the purposes of criticism or review; and finally fair dealing for the purposes of news reporting. First, the UK court is required to find that a substantial part of the work has been copied after which it addresses whether the copying can be justified under one of three fair dealing exceptions. There is no general discretion for the court to find a use ‘fair’ and it could be argued that this leaves the UK court with less room to manoeuvre especially with the ever increasing pace of technological development. For the time being it does at least give rights holders and prospective infringers a greater capacity to predict what can and cannot be copied. In contrast, the US test leaves us to grapple with fluid principles which could eventually be cast in favour of one side of the rights holder vs public interest balance, depending on the stakeholders involved. The US framework also provides a conceptual minefield when construing the first and fourth limbs. As the Texaco case demonstrates, this is especially so in relation to the shifting boundaries of publicly and privately funded research. Analysing the effect on the market is not straight-forward and the conclusion in Texaco that the CCC offers a mechanism by which such an effect can be judged is not necessarily concrete. The USPTO’s argument above supposes that a rights holder’s interests are overridden if a government body requires a copy of copyright material. Such reasoning cannot be right. It would undermine the intrinsic nature of a copyright regime and while the USPTO acknowledges that there is no rule, per se, that provides a blanket fair use exemption for government institutions, it references a number of cases which it argues lean towards such an exemption. Once again, this highlights the unpredictability of the fair use framework as the cases cited by the USPTO are broad in their factual basis and cannot automatically support such a general deduction. Guidance from the courts on these two limbs would be invaluable. The reason for the breadth and difficulty of the US fair use test occurs because the nature of copyright does not provide a stable basis on which a fair use test can be formulated. The well recognized weighing of the rights holder’s interests against the public benefit remains at the fore. If this cannot be easily construed, how can a fair use doctrine be similarly defined? Perhaps this accounts for the difficulty of the current US regime and is the reason for much emphasis placed on the importance of each case turning on its own facts. In the UK, the exceptions for fair dealing are much narrower in scope which means flexibility is sacrificed in favour of some notion of certainty. The UK government continues to consider extending the exceptions but even this will not put the UK provisions in line with the US. Meanwhile, in a decision which is interesting to consider in relation to the US case, the UK government has recently announced its intention to make all publicly funded scientific research available under Open Access by 2014. The debate about open access to scientific knowledge and research may well prove an additional consideration in the Wiley and AIP cases which already require the court to perform a delicate balancing act of numerous conflicting interests. "Unbundling Fair Use, Pamela Samuelson (2009) — By grouping fair uses into different “policy-relevant clusters”, Samuelson shows that application of the doctrine is far more predictable than typically described. "Predicting Fair Use, Matthew Sag (2011) — More empirical evidence that shows fair use law is more rational and consistent than commonly assumed. "Making Sense of Fair Use, Neil Natanel (2011) — Combining the previous three empirical studies of fair use, Natanel adds his own research to this area to provide a comprehensive look at fair use case law." Only Beebe's study is freely available, though copyhype does have links to abstracts for the other articles. As far as UK copyright law is concerned, it is worth noting that in addition to ss 29-31 covering the fair dealing exemptions, there is also s 60 regarding the copying of abstracts of scientific and technical papers etc. While such abstracts would probably not contain sufficient detail to act as NPL in support of a UK patent application, the existence of the section does signify Parliament's intention back in 1988 to effectively put some scientific reporting in the public domain. Also where the posting suggests that the USPTO is invoking lese-majesty by arguing that the US government has a 'right' to access copyright data without a licence, this is not so far from what s 45 of CDPA does in respect of judicial proceedings, as we saw when HHJ Birss helpfully published the two photographs within his judgment in the Red Bus case, thus allowing commentators to further publish the said images with impunity, which of course would not have been possible under s 30(2) - reporting current events - because that sub-section does not apply to photographs.